recommended for: Fans of The Winner's Curse by Marie Rutkowski, Red Rising by Pierce Brown, The Scorpion Rule by Erin Bow, and other gritty, epic sci-fi/fantasy. 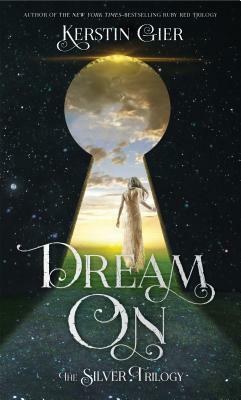 The explosive finale to World Fantasy Award finalist Kate Elliott's captivating, New York Times bestselling young adult series. It's difficult to say goodbye to such a powerful series, and even more difficult to finish it on a strong, satisfying note. I should never have doubted Kate Elliott. She is a true master of fantasy, from her fluid, lush prose to her atmospheric worldbuilding to her multifaceted characters. From the first page of Court of Fives to the last page of Buried Heart, she spins a story of oppression, adventure, love, loss, rebellion, and redemption that eclipses almost any other series in the genre. We return to Jes in crisis. I was so afraid for this book. The climax of Poisoned Blade left Jes' world in shambles, and just from that and the blurb, I knew there would be difficult waters ahead. Elliott pulls no punches in her plotting. Characters are run through the wringer, forced into impossible choices, made to suffer grandly and break their own hearts. I was never sure of the outcome. Although I trusted Elliott to deliver something monumental and realistic, I just didn't trust her not to kill my darlings. It's no surprise, then, that it's a tense novel. Elliott weaves a plot of rebellion and betrayal, political machinations and war, into a familiar narrative of colonizer and colonized, Saroese and Efean. Will good Saroese like Kal take risks to undo injustice, or will they choose comfort over justice? Given the racial injustices in the US right now, with similar exhortations from some privileged liberals--be patient, slow change, etc.--it was an uncomfortable narrative to swallow. I could identify well with Kal, who never asked to be in this position, who could only do the right thing if he sacrificed the world he knew. That discomfort is essential, because you can't think deeply without it. This third book is an incisive criticism and exploration of how broken systems fail everyone within them. It doesn't flinch from calling out even unintentional oppressors, and when redemption is given, there is a cost, there are reparations, and it's messy and real. It did feel like every Efean tradition was better than every Saroese tradition (a bit of overkill), but for the most part, Elliott did a good job of considering the gray realities of war. I won't tell you how it all works out. I couldn't possibly do it justice. Buried Heart is full of surprises. Elliott drops bombs and ties up loose threads so cleverly, threads you'd forgotten about until she brings them back and you're gasping in shocked satisfaction. We get to see Jes grow so much in this book. She's forced to reckon with the two halves of herself, to deal with the fact that even though she is one whole person, she can only align with one way of life. Jes is a heroine worthy to stand next to Lyra Silvertongue, Hermione Granger, and Katniss Everdeen. The cast around her is varied and complex, real people with personal motives and moral ambiguity. If I haven't sold you on these books, I can only say: you're missing out on one of the best young adult fantasy series of all time. No exaggeration. It has the intricacy of Marie Rutkowski, the magic of Tamora Pierce, and a precision and flair that is all Elliott's own. Buried Heart is a dazzling conclusion to a breathtaking journey. My only regret is that, for now, I have to leave Efea behind. 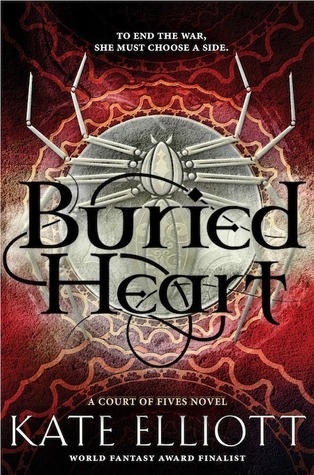 Buried Heart is a dazzling conclusion to a breathtaking journey, gorgeously written and intricately plotted.